The 5.4 oz. Scout is a compact kit containing fundamental survival necessities: survival blanket, whistle, waterproof matches and tinder, signal mirror, compass, duct tape and a fishing kit. 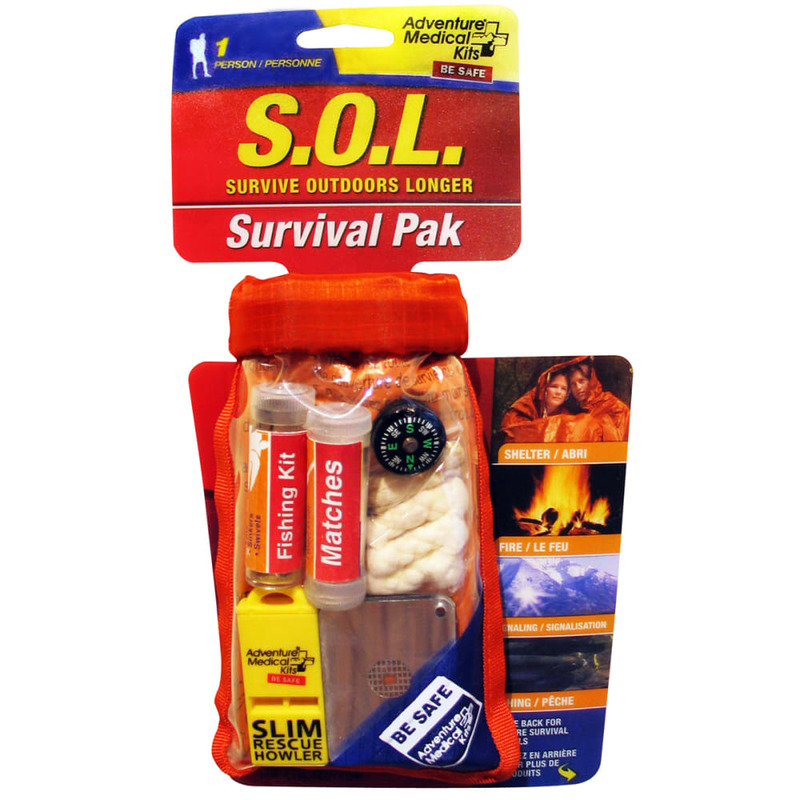 In this case, SOL stands for Survive Outdoors Longer! Includes roll-down closure waterproof dry bag for storage: 6 x 3.75 x 1 in.